For potential leasers & buyers, a full floor office is the ideal space to place their business. An entire floor gives a business stature and prestige. Genrally full floor offices come in sizes greater than 4,000+ SF which appeal to many businesses whom likes their own floor presence. 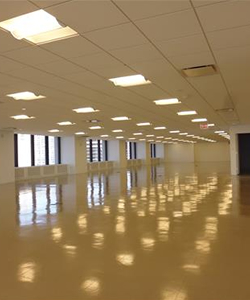 Recent full floor office availabilities show the rarity of full floor office space in Manhattan especially Midtown. A business looking to convey optimism and growth, a full floor office allows the space to grow. The limited availability of full floor offices create a rare opportunity for a business to be part of prominent location in Midtown. Full floor office spaces in commercial buildings typically have direct elevator presence. 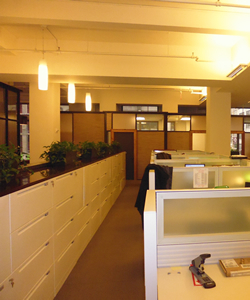 The interior office build-out or shell is the space that a business can renovate or alter. Depending on the position of the commercial building, a full floor office may contain windows on 2 to 4 walls. While the demand for full floor office spaces steadily rises, many property owners are reluctant to divide the floor into smaller units. Property owners maintain the full floor offices in hopes of larger businesses while maintaining the shortage of availabilities. Due to the availability shortage and fewer new buildings, property owners are now offering longer terms priced at above market rates and less incentives. When occupying a full-floor commercial space the functioning work area encompasses all of the office space from the inside boundary of the floor plate, except the common areas such as the building’s stairways and elevator shafts. This area of use includes spaces such as mechanical / electrical rooms and or maintenance closets. This also covers any private restrooms and or other areas tied to the building’s use of the floor – rather than the tenants. Full floor office space provide amazing branding options to highlight businesses. In businesses that host clients in the office, a full floor office is bound to impress. Finding a full floor office is a challenging prospect any day in Manhattan. Many landlords in recent time have divided their floor plates in lieu of smaller spaces for higher tenant density. The number of full office floors vacant across the city office market has fallen, with that recent trend tenant options are dwindling. We can assist you in your search for "that" perfect rare full floor office, our seasoned brokers have extensive insight into all the commercial buildings that offer rentable full floor plates. Contact us at no obligation or fee - there is no exclusive with us - call or click for free tenant services. We pride ouselves on providing you and businesses like yours with comprehensive real estate information each and everyday!